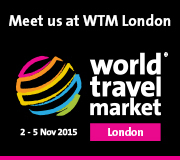 We will once again be exhibiting at this year’s World Travel Market. You can find us on the UK Inbound stand (UKI 300). As we are approaching our 40th Anniversary we will have some old brochures to look at for those who stop by.